We’d love your help. Let us know what’s wrong with this preview of Dragon Song by Jim Murdoch. Pat Ferguson, having read the book his Aunt Gaby discovered as a child, delves deeper into the inner experience, meeting more dragons and finding more of Einarr's story. Learn how Einarr travels further East and how the ring and pendant were made. Follow Pat and the growing "family" as they face a new danger and find dragons walking among them. Visions from the Inside play Pat Ferguson, having read the book his Aunt Gaby discovered as a child, delves deeper into the inner experience, meeting more dragons and finding more of Einarr's story. Learn how Einarr travels further East and how the ring and pendant were made. 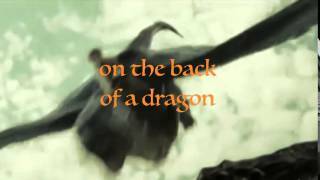 Follow Pat and the growing "family" as they face a new danger and find dragons walking among them. Visions from the Inside play an even greater role in this sequel to Book 1, Pursuit. Much becomes clear which was left a mystery in Book 1. But more mysteries emerge. Pat loses something precious and his future takes an unexpected turn. What part do the new characters play, and what relevance does the greater global conflict, which has been going on for eons, play in the life of the protagonists? The Dragons and Visions series presents an exciting adventure in Visionary-Metaphysical fiction where the Inside, the inner realm of the sub-conscience, and the In Between, a mysterious realm of the dead, are explored by the characters. Could this be the true source of wisdom? To ask other readers questions about Dragon Song, please sign up. The book cover is now uploaded. What do you think? Do you know what Visionary Fiction is? from page one till the end. That's exactly what this book did. Which makes it so easy to related to. Looking forward for book 3! I often wonder about the mystical experiences from the mind and souls of other writers and thinkers. I stand in awe of the stories they bring forth, and the lessons that I learned from them. Jim Murdoch is one of those writers whose mystical books are suitable for families and safe for young readers. The Dragon Song is a follow up from Book One 'Pursuit' and the continuation of the life of the sceptical Pat. His reality about the dragons and the serpents and how his journey unfolds. Pat's discov I often wonder about the mystical experiences from the mind and souls of other writers and thinkers. I stand in awe of the stories they bring forth, and the lessons that I learned from them. Jim Murdoch is one of those writers whose mystical books are suitable for families and safe for young readers. The Dragon Song is a follow up from Book One 'Pursuit' and the continuation of the life of the sceptical Pat. His reality about the dragons and the serpents and how his journey unfolds. Pat's discovery into the inner world of consciousness by using meditation to communicate with the dragons. The ancient conflicts of dragons and serpents draws Pat and his family into their midst. Set my mind to tune in to this writers wisdom and inner beauty. 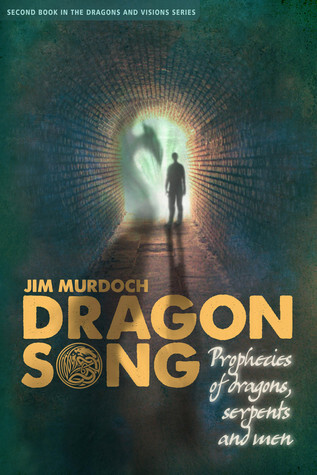 Dragon Song by Jim Murdoch is the second volume from the Dragons and Visions series. Thirty-year-old Pat has an uncommon ring representing a dragon, given to him by his Aunt Gaby. She has a matching pendant which she found as a girl at the back of a book which seemed to chose its readers. With these items, the two have access to a place called the Inside which is a state of mind reached through meditation. Here, they can communicate with Dragons and have access to knowledge through visions. They find out about the eons-long conflict between the forces that rule the world: the Serpent People and the Dragons. The Serpent People’s goal is to keep humans as far away from enlightenment as possible to exploit them. At the opposite pole lie the Dragons, intelligent beings that have long fled the physical world to take shelter from their execution, led by crossbreeds between humans and Serpents. They wish to help people live in harmony with themselves and reach a superior level of existence. Today, in a Serpent infested world, Dragons can only be reached through the Inside and to facilitate this communication, the ring and the pendant have been crafted. Great power lies within these artifacts and they can either aid the Dragons’ return amongst humans or destroy them. It is up to Pat, Gaby, and their unlikely allies around the world to decide the faith of humankind and to help or prevent Dragons from walking the Earth again. Having read the first book of the series, Pursuit, I was curious to read the sequel and was left pleasantly surprised once again. The Dragon Song is a free continuation of the previous novel. We follow the same characters and slowly unravel more mysteries that connect dragons to humans. I found this book more action driven, as there was more danger at hand. The story deepens the premise, the mythology of dragon, as well as introduces new characters and plots, including a mysterious and guile race Having read the first book of the series, Pursuit, I was curious to read the sequel and was left pleasantly surprised once again. The Dragon Song is a free continuation of the previous novel. We follow the same characters and slowly unravel more mysteries that connect dragons to humans. I found this book more action driven, as there was more danger at hand. The story deepens the premise, the mythology of dragon, as well as introduces new characters and plots, including a mysterious and guile race of serpents. I enjoyed the detective-like storyline and the subplots, the relationships between the characters, some of which face greater challenges than before. However, I mainly appreciated the insights on how to find one’s true inner strength, in order to prevail throughout the toughest moments in life. I look forward to read on.